No doubt Anstatt Lingenfelder born in 1520 in the town of Rhodt in the Pfalz region of Germany would express surprise that some 500 years later his name would be published for a world-wide readership! No doubt, but that’s when it started, or at least that is the first record we have of a Lingenfelder winzer (grape grower and winemaker, or wine grower). Winemaking then was hardly a glamorous pursuit. Hard work in the vineyards, little technology to deal with the fickleness of weather, the mysterious transformation of grape juice into wine and the anonymous sale to taverns and locals. 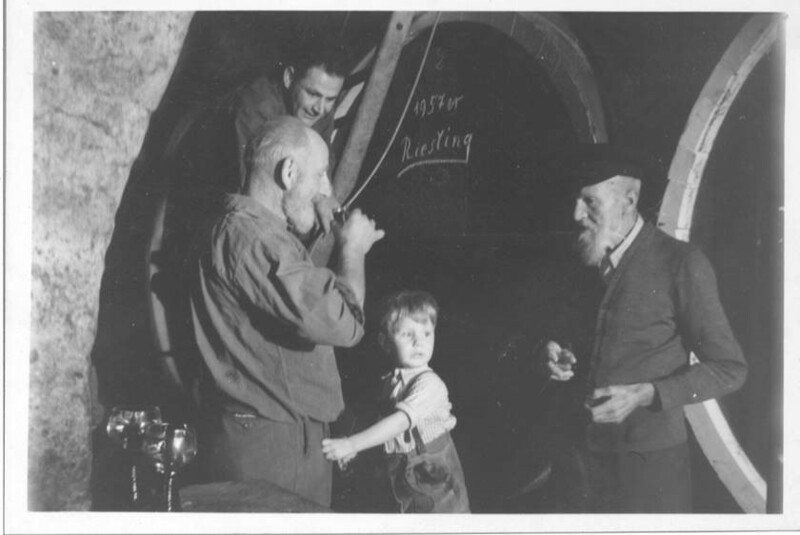 Yet the Lingenfelders stuck at it and there is a continuous record or winemaking in the family from 1520-1938. 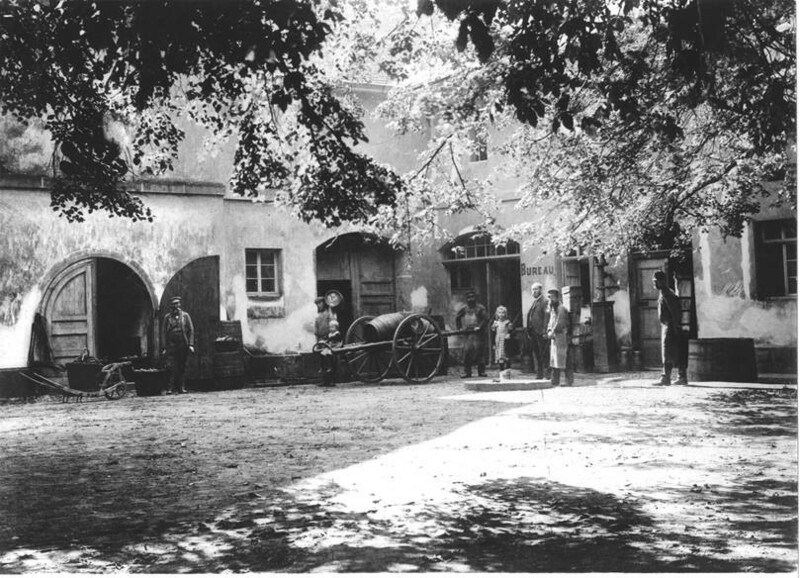 Most of this time the family worked a small property in the south Palatinate (now known as the Südliche Pfalz). Occasionally, as in the case of Johanne Wilhelm Lingenfelder, a Lingenfelder rose to sufficient prominence to warrant an historical note: Bassermann-Jordan in his seminal treatise on wine even included a photograph from 1850 of Herr J.W. Lingenfelder with what appears to be a vertical tasting of wines from 1811, 1846 and 1848. In 1938, after a devastating period for European wine production (powdery and downy mildew and the Phylloxera epidemics; insect infestations; industrial use of toxic sprays in the vineyards, World War I and economic crisis), it is no wonder that at least one Lingenfelder developed happy feet. Karl Lingenfelder (actually, most are called Karl), sold the little 3.5 hectare family vineyard, withdrew his money from the bank and left for greener pastures in Silesia (an historically important region of central Europe now mostly within the borders of SW Poland). 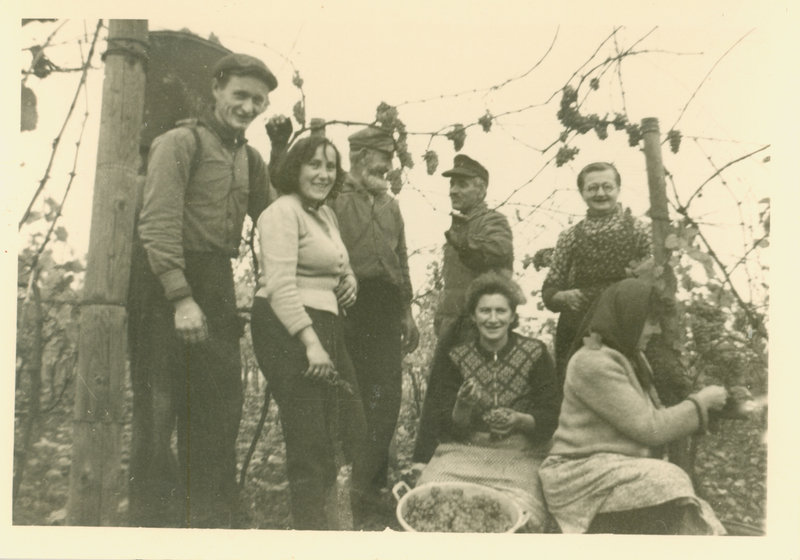 Our line of Lingenfelder winzers might have ended right there if Karl had chosen a different new home, but instead he had to head right back to the Pfalz when all Germans were expelled from the region during the resolution of World War II. He initially brought the family to the small town of Edenkoben in the southern Pfalz, but when a property in Grosskarlbach became available for lease in 1951 they all moved north. The property in question is in fact the current Lingenfelder Estate. Prior to 1951 the estate was operated by the owners, a family by the name of Webel, but upon the death of Karl Webel in 1951 and there being no family heir, the property was leased. At that time, the extent of the land available for vineyards was 8 hectares, of which 3.7 was planted. Over the subsequent years, the estate properties were planted to capacity and an additional 2 hectares were purchased. The current holdings are today supplemented by and additional 5 hectares secured under long term lease and under full operational control of the estate. The name Lingenfelder first appeared on bottles of finished wine in the time of the 11th generation and was associated with the wine of the current estate. The estate’s reputation for production of quality wine has continued to grow. Some wine literature attributes the renown of the Grosskarlbacher and Freinsheimer vineyards largely to the capable winemaking of individual producers, of which Lingenfelder is a leader. The 13th generation and current Lingenfelder is Rainer Karl Lingenfelder whose detailed biography is also found on this website.